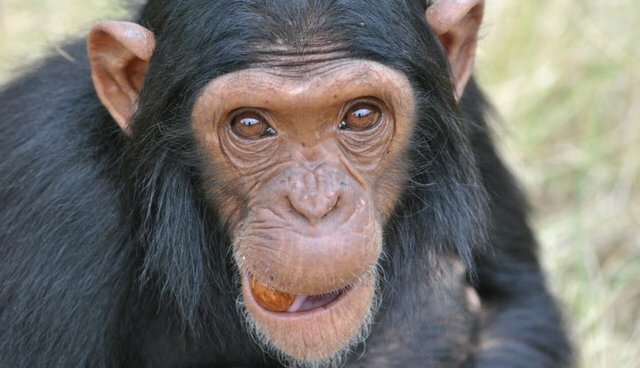 Like a foodie hunting down a favorite taco truck, chimpanzees will travel further to their preferred fruit trees, says new study by researchers at the Max Planck Institute for Evolutionary Anthropology in Leipzig, Germany. It's more than the fact that chimps enjoy good fruit -- the apes actively look forward to eating at the best trees, the primatologists found. The scientists followed five female chimps through Tai National Park, a rainforest in Cote d'Ivoire, and marked the trees where chimpanzees most regularly dined. At these high-quality trees, apes most frequently let loose food grunts, an "aaa" sound that indicates gustatory pleasure (the chimpanzee equivalent of Instagramming your quinoa salad). They also ate a higher proportion of the fruit they plucked from these trees, too. 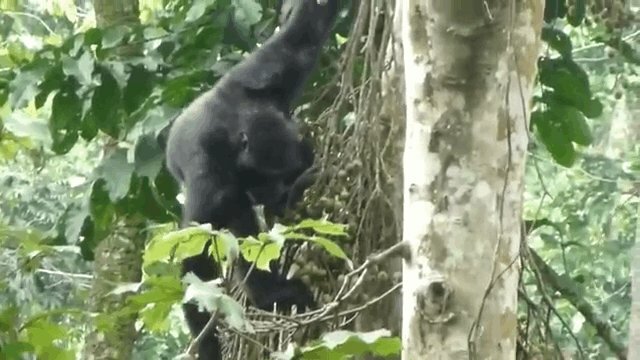 After tracking the chimpanzees over the span of 4 to 8 weeks, the scientists made another discovery: travelling chimps would swerve toward their favorite trees long before they could have sensed the fruit. (The siren smells or sights of the five-star fruiting trees, in other words, weren't attracting the chimps.) It was the memory of the good food, the scientists believe, that lead these chimps back to their favorite trees. This indicates "a daily use of an exceptionally long-term prospective memory," the study authors write. Although researchers have noted that rats and pigeons can remember tasks, these are in the shorter term -- ranging from 10 seconds to 15 minutes. When the chimps acted on their memories, it was an average 80 minute-long walk away from their favorite trees. Good fruit, it seems, makes a lasting impression on chimpanzees.